Nail art is all about having fun. Clara H Nails was started by Clara H, who found her calling in the nail artistry very early in life. She was mostly self taught and later pursued nail technology with feverish passion and took a challenging nailist exam in Tokyo attaining the advanced Japanese Nailist License despite Japanese being a foreign language to her. Since then, she has gone on to collaborate with notable names in the fashion industry and is the ‘go-to’ nail artist for her nail art in Melbourne for Serena Williams. Her work has been featured by numerous online and printed publications, in editorials and is constantly talked about in the fashion blogging industry and has been mentioned in www.complex.com as one of the top 20 nail artists you should know. Her work encompasses her personal style as well as her background in fashion, she strives to create original style nail art that’s feminine and edgy. 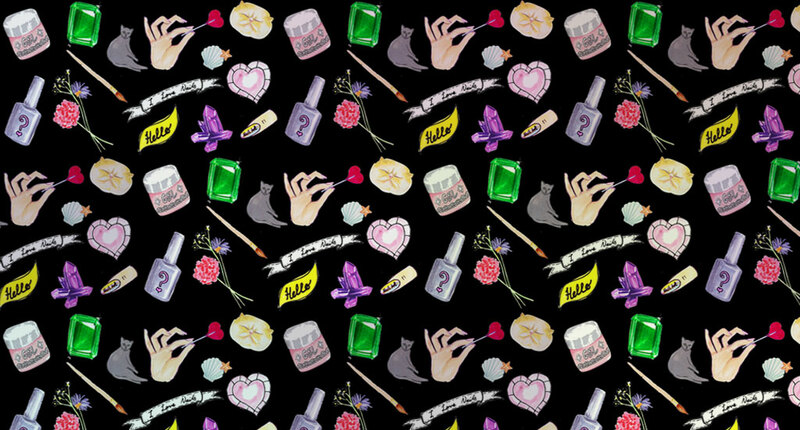 This website & blog showcases her journey in the design and fashion world, bringing you her passion to create artistic works in nail art, illustration, fashion and styling. So hop on board, have fun and get inspired on this fantastical journey with her! Clara H Nails has always kept a relatively low profile, priding on word-of-mouth and personal recommendations for her work. Her services have been known to be Melbourne underground, serving top creative people, fashionistas and bloggers in nondescript locations here in Melbourne. For media or other enquiries, please go to our contact form at the bottom of our home page and leave a message, we will get back to you as soon as possible. Here are some articles in the media that have mentioned or featured Clara H Nails’ nail work. i just look at my clara h nails and then i feel amazing again. I LOVE these so much! Your nails are fantastic! When you visit Clara H Nails for a nail session, know that you will always be walking out the door with great quality on your fingertips. What truly sets my work apart from everyone else is that not only can I give you a great looking set of nail art with Hello Kitty popped out of it or funky prints immaculately painted on your nails, I actually UNDERSTAND the science behind your nail anatomy. I was trained to understand nail health and hygiene, scientific identifications of various nail parts, product chemistry and diseases which is important to give you that base for a beautiful set of nail art. Ultimately, nail sessions are meant to be a load of fun. You shouldn’t have to worry about feeling pain, getting cuts, or experiencing raw uncomfortable sensations whilst getting extensions, or that your nail technician ‘wouldn’t’ (won’t or can’t?) give you the lovely stiletto or almond shape you so desire. You can entrust your beautiful and precious hands with me and feel safe knowing that I know EXACTLY what i’m doing. So go on.. book your session and check out all that’s in store for a beautiful set of nails. 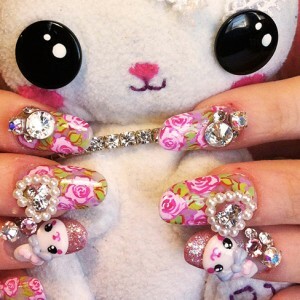 Nail art prices are available in blocks of 30 minutes, with the exception of the 45 minute block. Prices for the nail slots booked are regardless of design. Extension prices are on top of nail art prices, nail art time starts when extensions are complete. 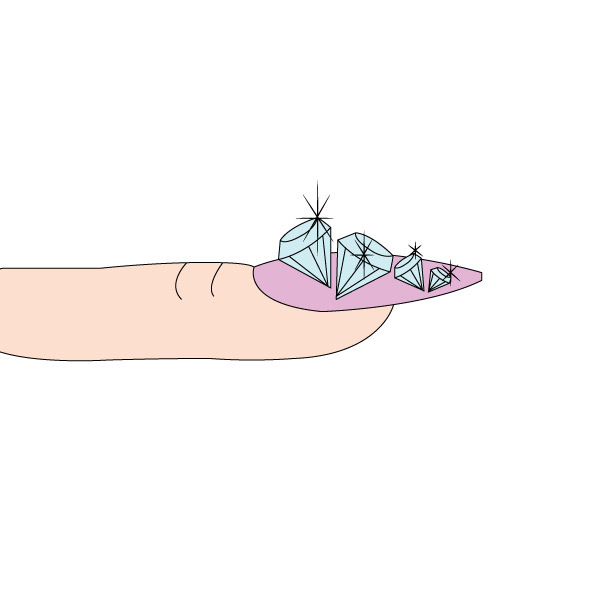 All your questions about nail art and our services answered in this FAQ section. If you have any more questions you would like answered, please go to our CONTACT section and click on the ‘Leave-a-message’ tab and you will be responded to at our earliest convenience via email. If I had my acrylic/gel nails done elsewhere, can I get them infilled with you? Unfortunately I do not fill other salons’ works mainly due to chemical and technical differences. Other salons may use a completely different brand of products that may not be compatible with the products used at Clara H Nails. Even if the product line were exactly the same, the method in which your nail tech uses to create your nails and my methods will be vastly different, hence it is recommended that you get your nails removed gently and have a new set put on here (recommended), or if you really like your nail tech but would like to get some nail art, get your nails infilled then book in a nail art appointment with me. This isn’t just about earning extra bucks from you, but about making sure you have the right nail base to go with beautiful artwork. After all, your nails are my walking signboards. How far in advance can I book my appointment with you? Typically, I accept appointments up to 1 month in advance, any date requested that’s further than that will be a tentative booking; -meaning you can still book in, but the appointment will only be confirmed as the date draws closer. This is a common question coming from brides-to-be. Not to fret! You can still drop me an email and get your dates in with me, early bird catches the worm! For all other customers, I rarely accept last minute clients as I’m frequently booked out, thus I would recommend a 2-3 week booking in advance. Do you offer extensions with stuck-on tips? No, only sculptured extensions are available at Clara H Nails. They cost more than your average run of the mill $50 tip hack job but they look about 10000000x better. What is the difference between tip extensions and sculptured extensions? Does one last longer than the other? Tip extensions are basically pre-made abs plastic tips that come in boxes of a standard 10 sizes. They are stuck to the tips of your nails, filed down to blend and a coat of acrylic or gel is applied to level the nail to create your extensions. 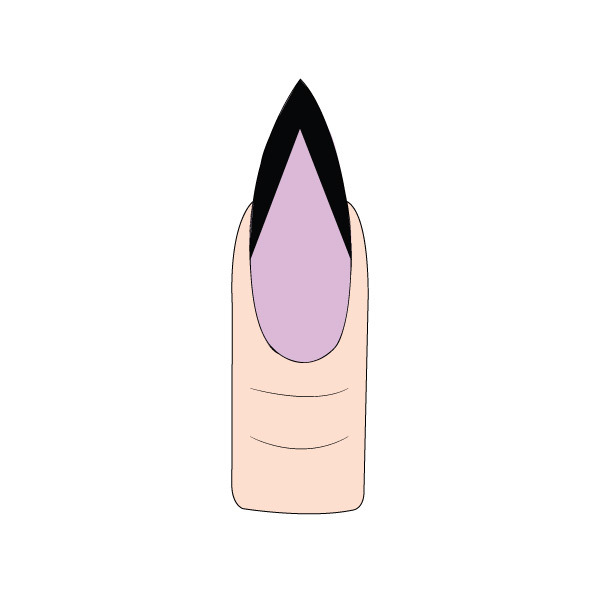 Sculptured nails are created using a nail form (a type of paper sticker) temporarily stuck under the free-edge of your nail so a fully customised nail can be created and extended on top of it, after which the nail form will be removed, nail filed and prepared for colour. Technically if both were left to a highly skilled nail technician, you would get tremendous results -beautiful extensions. However, many salons think of tip extensions as a cheap and quick money-making shortcut, leaving you to pay $50 for a lousy looking set of extensions with tips that don’t fit your nails and feel tight, or are too big and stuck to the side skin on your nails. Hence, tip extensions have earned a terrible reputation within the professional nail industry. Sculptured extensions are certainly more time consuming and are usually left to the more experienced nail technicians, but the results are that your nails will have an extension that compliments them and feels natural. They tend to cost more than tips but you end up with a great looking set of nails. There is no difference in wear time if they were done right. Infills are recommended to be done every 2-3 weeks and not recommended to be kept on for more than 4 weeks. 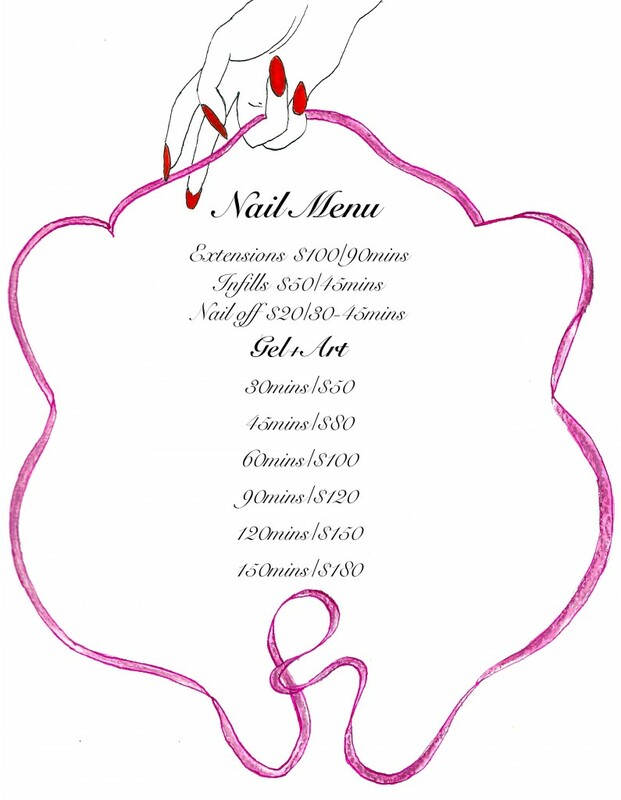 How does your nail menu work? You will see that the nail menu is very simple, choice of extensions or gel and nail art. 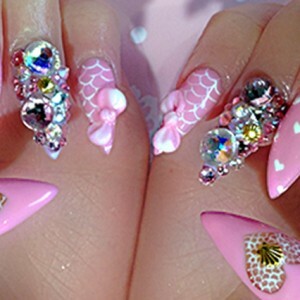 The nail art slots are offered in blocks of 30 mins, with the exception of the 45 min slot. The prices are time sensitive and regardless of your nail art design, meaning if you booked a 1 hour slot, you could have anything done on your nails within that time frame, or if it exceeds, you’d just have to pay for the next block of time. Think of it as a time-controlled all-you-can-eat nail buffet. Extension prices are on top of the nail art prices if you chose to get them and the nail art time starts only when your extensions are complete. I have short and thin nails, can I still get nail art or extensions done? Anything is possible with gels and acrylics available. If you are worried about your nails being too short or weak for nail extensions, send me a picture of your nails via email and I can better consult you there since it’s different, case-by-case. I can recommend the best options to suit your lifestyle and nail lengths. Nail art is definitely still possible on short nails, again, send me a photo and we can discuss more. I do have shellac but as well as other brands of gel polish that is similar in wear time and plenty more choices of colours. They last the same and are of a similar process to do. Shellac is to gel polish as Kleenex is to tissues. It is just a brand name, unless it is Shellac you are specifically looking for, the term you are looking for is a ‘gel manicure’. Do you do events and outcalls? Yes events and functions are available no matter how big or small. Nail designs can be customised to your function/theme. I have done pop-ups for Dior, Alannah hill and various other businesses. Enquire on our contact form for your event enquiries. Outcalls are available at a minimum outcall fee. Gift vouchers can be purchased by contacting me via email or our contact form. They are available in any denomination you like, or if you don’t want prices to be stated, you can buy a specific service for your special recipient. They can be mailed or emailed out to your person of choice once payment is received. Gift vouchers will soon be available in our online store. Can my friend/partner wait for me at the salon? Yes most absolutely! The more the merrier we say! Hang out with magazines, movies and a comfortable seat is available to entertain your bored friend or other half while you get your nails decked out. However, even though we love children, we would discourage them from attending your nail session as your hands would be busy most of the time and we use chemicals that you might not feel comfortable if your child inhales them. If I like a specific design (done by someone else) can I send it to you? I greatly encourage some form of originality, even though that is hard to define these days. If you have come searching for my nail art services, i trust you know that you will leave with something highly unique. I can more than likely replicate someone else’s designs if you are bent on having them, but I would first give you other suggestions to create a truly unique look to match your outfit or personality, if not, copy it is! Are you Japanese? 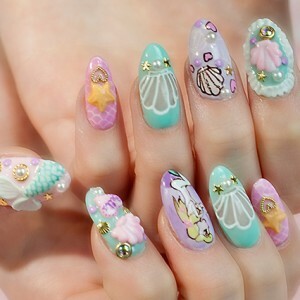 Because I saw your Japan nailist license…? No, I’m not. I was born and bred in Singapore and my nail skills were mostly self taught. I attended a nail school in Singapore to receive a nail technology diploma, and then studied the Japanese language so I could take the Japan Nailist Association certification exam. I can’t speak Japanese and I can only read some as I’m very out of practice. 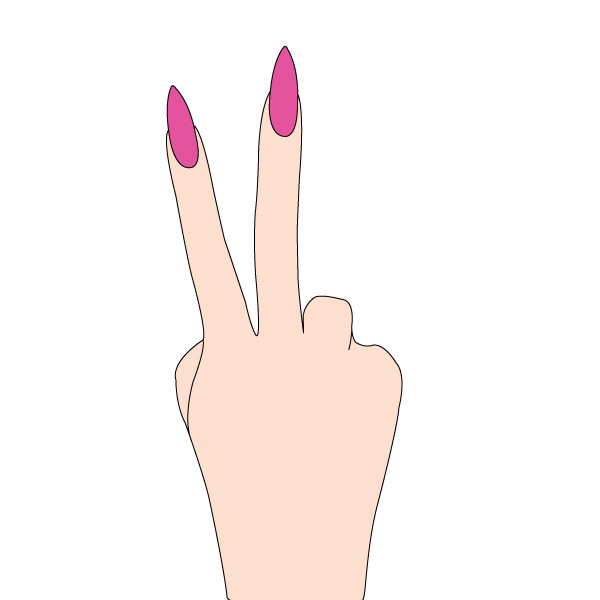 How long have you done nails for? My standard answer to this is, ‘too long’. However the accurate answer would be 13 years this 2014. Did you do Serena Williams’ nails? Yes I did, and I have done them for two years running when she arrives to compete at the Australian open. I have also done Venus Williams’ nails as well as their mum-manager. They are very cool people who know what they want but are at a loss when it comes to picking their nail art. All bookings, particularly with first time or new clients require a 50% deposit. This can be paid online when you book through our booking page. A common sense policy applies to all cancellations, last minute cancellations and no-shows. To change or adjust your appointment requires a courtesy 48 hour notice. Cancellations made under 24 hours before appointment time will have their deposit forfeited. No-shows will incur a charge of 100% of the service booked as well as a possible ban from future bookings. We understand that emergencies may happen, so If you have provided us with a satisfactory reason why you didn’t show up, you can reschedule the appointment within the next two weeks subject to avahilability. Otherwise do understand that the time is blocked out for and we suffer a complete loss due to your absence. We are located in the Nicholas Building across from St Pauls Cathedral.